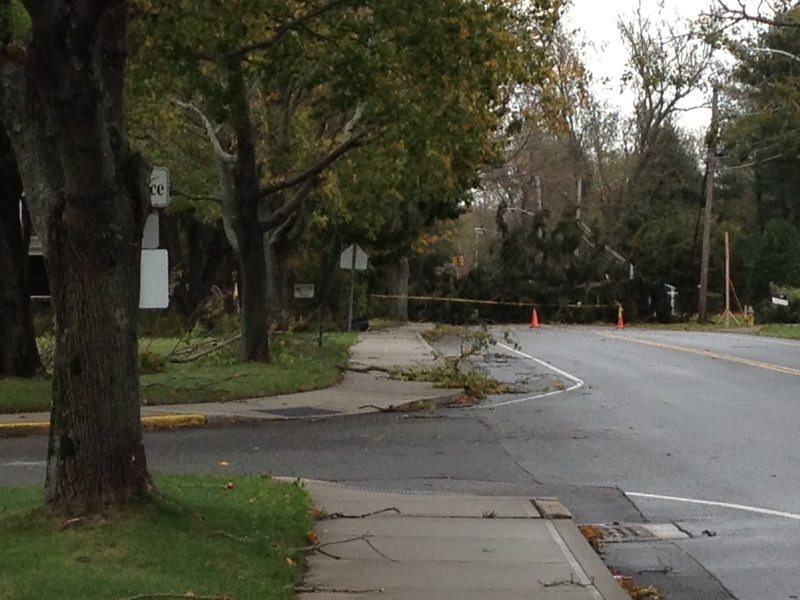 The superstorm that hit the Tri-State Area this past week is one that none of us will forget any time soon. Some of us lost power, some of us did not. Certainly many of us have suffered damage to their property. Hopefully all of our members and their families are safe. If you have a story or circumstances dealing with the storm situation that you would like to share, feel free to use the comments section below. Certainly if you have issues that your PJSTA brothers and sisters can help with, use the comments section to ask for help. I personally have power, heat, hot water, cable, etc. If there is anyone who needs a hot meal, a hot shower, or even a place to watch a movie or storm coverage on the news don’t hesitate to ask. A tree down by Terryville Elementary. We also have power, heat, etc. Feel free to get in touch if you need respite.